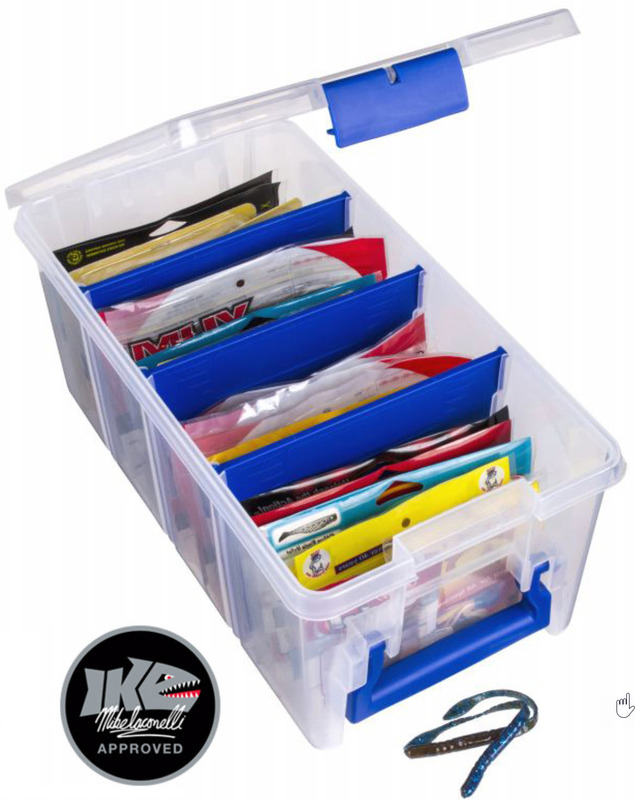 You hear a little something from time to time about tackle storage but the reality is that most of us use what we already have in our boats to store our lures and terminal tackle. The fact that it’s 20 years old doesn’t seem to make much difference to us even though everything else we fish with is new and cutting edge. Using that old stuff is a mistake. Those boxes were mostly made from ordinary plastic. Over time they allowed moisture to seep in and they became brittle with age. They fog, crack and the latches break. There’s no reason to put up with that when there are better ones available. I use the new Flambeau boxes for my lure and terminal tackle storage. They have a system that works for everything I carry. In my opinion it’s the best on the market, and I’ve looked at all of them. I have no problem recommending it. 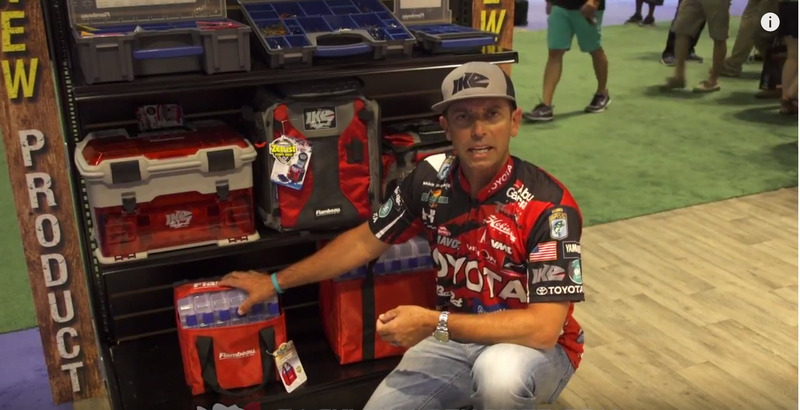 Hard bait storage starts with their Tuff Tainer series. These are clear, hard boxes with three latches on them. The lid folds down tight against a rubber seal which makes for a truly waterproof storage container. And, they come in a ton of different sizes — big, little, in between, thin, deep and ordinary. Along with a tight lid and a ton of different sizes Tuff Tainer boxes are treated with Zerust which keeps rust from forming if, and when, you get a little moisture in them. That won’t happen when the lid is closed but it will happen when you open them in the rain or in an early morning fog. 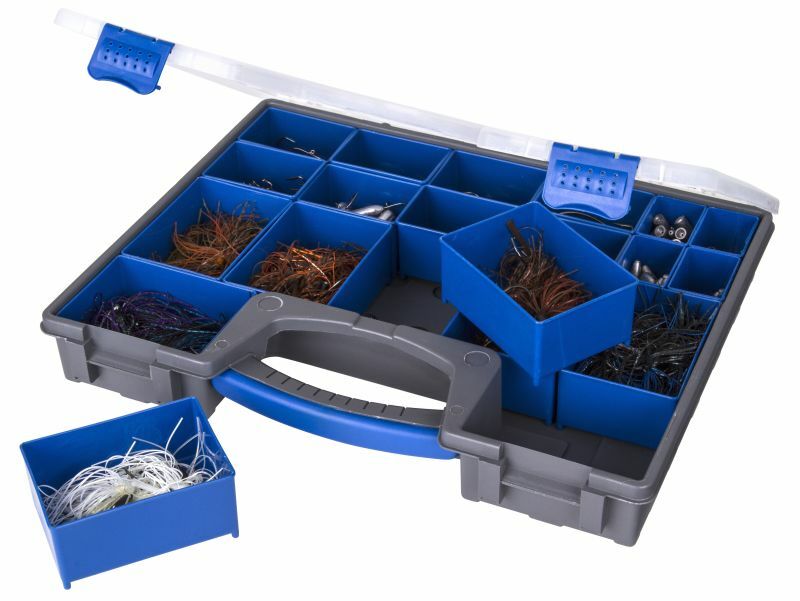 For my plastic baits I like the Super Half Satchel Soft Bait Organizer. 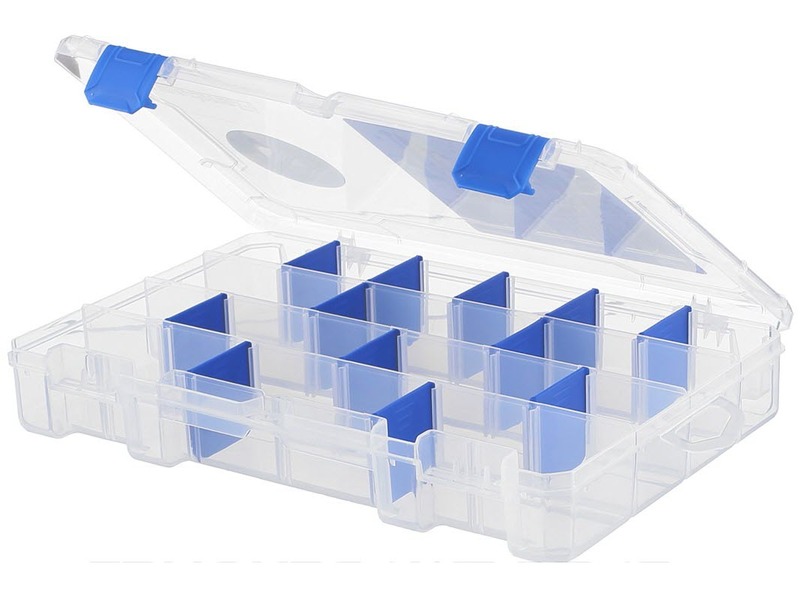 This box has three Zerust treated dividers that make four bulk storage compartments. I use the bulk storage compartments to sort my plastics by shape and design although they’re so ?you can pretty much do anything with them you want. When it comes to terminal tackle there’s only one way to go — Flambeau’s IQ Series Utility Box. These boxes are made sturdy. They’ll take the weight of dozens and dozens of jigs and weights as well as whatever else you want to put into them. And, the IQ boxes can be easily customized. They come equipped with interchangeable trays and slide-in boxes so that no matter what you put in them it’ll fit properly. That’s a super feature if, like me, you swap out tackle from one lake or river to the next. Like all the other boxes I’ve mentioned the plastic in the IQ Series is treated with Zerust and they come in several sizes. Finding exactly what you want is not a problem. What I’ve covered here is really just the tip of the iceberg. Flambeau makes all kinds of storage containers that’ll work for however you fish. I suggest you check them out at Flambeau.com and see if there isn’t something there for you. 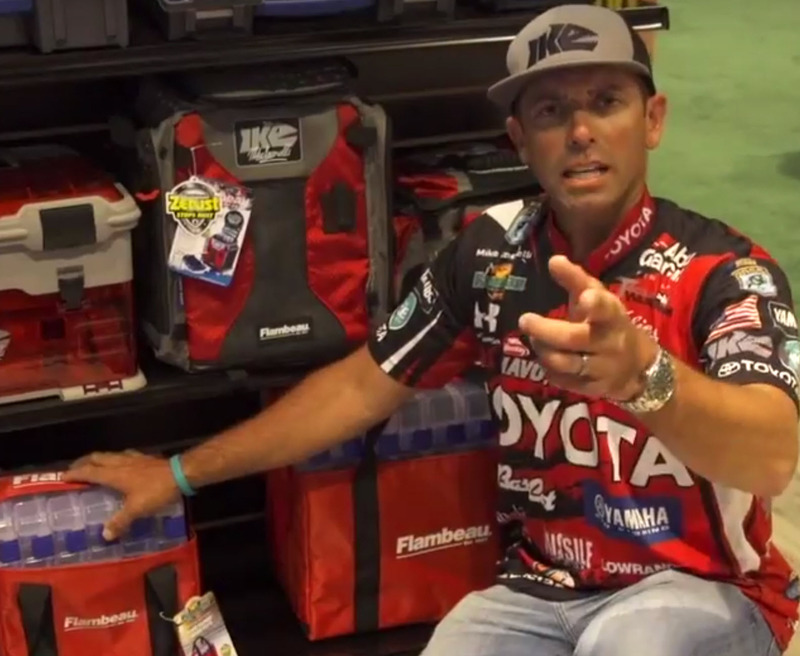 Hear Mike Talking about Flambeau boxes.